While receiving his Bachelor of Arts at Johns Hopkins University, Peter sought a career that would combine his financial acumen and his passion for helping people. With that foundation in mind he was attracted to financial services and the opportunities that it provides. 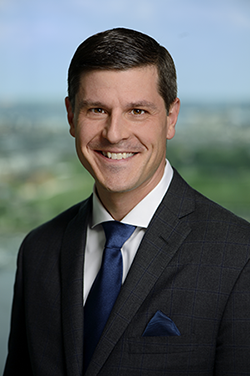 After graduating with honors in 1997, Peter decided that Northwestern Mutual – a company whose values of putting clients’ interests first aligned with his own – was the best place for him to launch his career. Throughout his tenure, Peter has worked hard to expand his knowledge base in order to provide the best possible service to his clients. He has earned the CERTIFIED FINANCIAL PLANNER™ (CFP®) certification, as well as the Chartered Life Underwriter (CLU®), Chartered Financial Consultant (ChFC®) and Chartered Advisor for Senior Living (CASL®) designations from The American College. Professional development and education are core values for Tillinghast and his growing team. This commitment to continuously seeking out relevant knowledge has enhanced the firm's ability to adapt with their clients’ circumstances and the ever-changing planning environment. As a result, Tillinghast & Associates has helped hundreds of individuals and families reach their financial goals.